Pep Guardiola saluted an "outstanding" Manchester City performance to keep the champions in touch with Liverpool at the top of the Premier League. 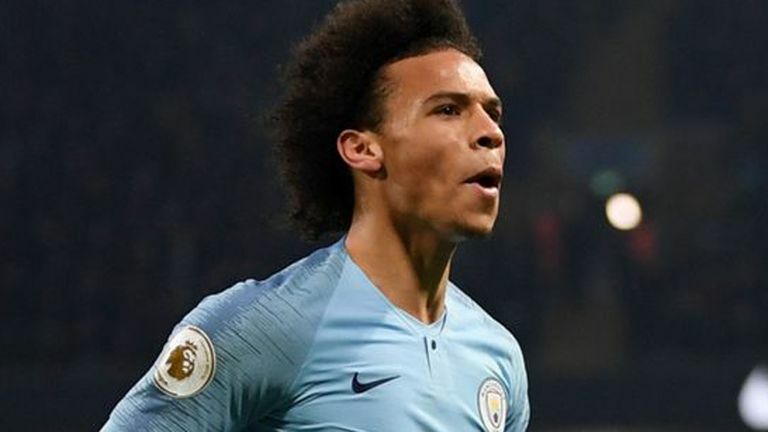 City came out on top of Thursday's pulsating encounter at the Etihad, with goals from Sergio Aguero and Leroy Sane cutting Liverpool's lead at the top of the table to four points. 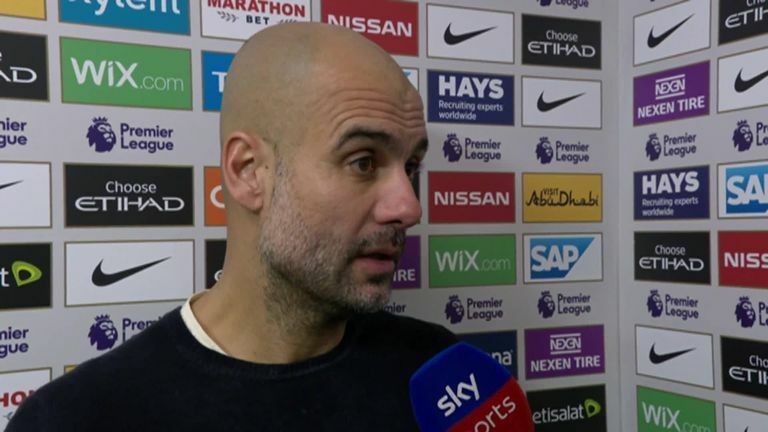 "The game was a real game for both sides, we beat an incredible team," Guardiola told Sky Sports. "We were outstanding from the first minute. We are happy for this victory to reduce the gap. Everything is open. "Liverpool don't concede goals, and we scored two. We played with courage, so aggressive in our pressing. They are incredibly fast in behind, so dangerous. "If we lost today it is almost done, it would be so difficult. But we are four points behind them and they are the leaders. We have to fight a lot, but this gives us a lot of confidence." Guardiola singled out several individual performances for praise, adding: "Everyone was outstanding. "We don't have a left-back. Huge compliments to Aymeric Laporte against these strikers. "We need Sergio Aguero in these games, his quality makes the difference. To win these games, he has done it all his career and his finish was incredible."